How to Ease Your Child’s Feelings When He/She is diagnosed with HFMD? Hand-foot-and-mouth disease, or HFMD, is caused by a virus. 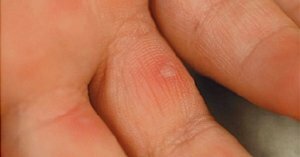 Symptoms include ulcers, or sores, inside or around the mouth, and a rash or blisters on the hands, feet, legs, or buttocks. And while it’s not pleasant, it also isn’t serious. Your doctor will ask about your child’s symptoms and look at any sores or rashes. This is usually enough to decide if it’s hand-foot-and-mouth disease with no extra tests. But he might take a throat swab or a stool or blood sample to be sure. Over-the-counter pain relievers like ibuprofen(Advil) or acetaminophen(Tylenol) or numbing mouth sprays. Don’t use aspirinfor pain — it can cause serious illness in children. Cold treats like Popsicles, yogurt, or smoothies soothe a sore throat. Anti-itch lotion, like calamine, can help against rashes. Your child is most contagious in the first 7 days. But the virus can stay in her body for days or weeks after symptoms go away and it could spread through her spit or poop. The best way to prevent that is to wash hands thoroughly. That applies to you, too, after you change a diaper or wipe a runny nose. Your child should be fever- and symptom-free before she goes back to school or daycare. Check with your doctor if you aren’t sure whether she’s still contagious. Ask her school or daycare about their policy on when a child can return after illness. Hand-foot-and-mouth disease is not the same as foot-and-mouth disease, which comes from a different virus and only affects animals. https://tyt.com.my/wp-content/uploads/2018/04/TYT-logo-transparent_1000x1000_square-180x180.png 0 0 Cheah Houng https://tyt.com.my/wp-content/uploads/2018/04/TYT-logo-transparent_1000x1000_square-180x180.png Cheah Houng2018-08-16 16:42:192018-08-16 16:42:19How to Ease Your Child’s Feelings When He/She is diagnosed with HFMD?